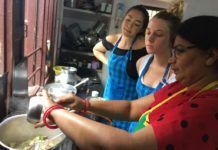 Here you’ll find a list of the best places to eat breakfast in Udaipur along with the famous dishes you could try at each outlet. Breakfast is said to be the most important meal of a day, it is also known as the ‘King’s Meal’ as you must keep your portions high while having your breakfast. 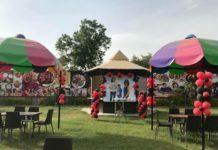 In the Royal City of Lakes: Udaipur, there are several places for having a full-fledged mouth-watering breakfast meal, in this blog we’ve incorporated renowned cafes, restaurants and street vendors serving the most lip-smacking breakfast dishes in Udaipur. Note: This is an unsponsored blog, My Udaipur City believes in generating unbiased content. 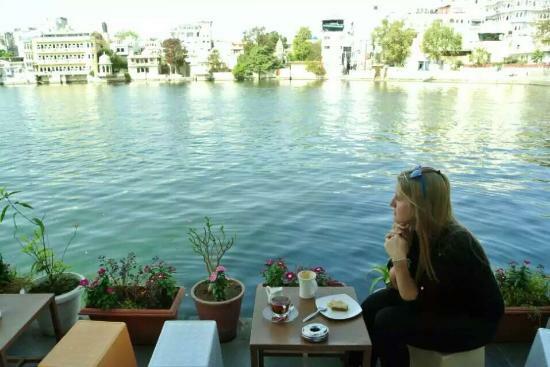 If you believe in ‘Breakfast with an astounding view’, you must visit this small café & bakery in the old city. 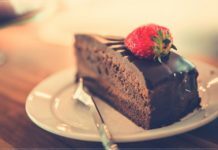 You can order from the wide menu in English breakfast, you can also try various cakes and pastries by their own bakery; and take a seat near the Pichola Lake or choose to sit at the rooftop setting and enjoy your breakfast with a brief aerial view of the old city. Tip: The café in situated in the old streets, therefore you may not be able to find parking space for your four-wheelers. Address: 52-56, Jheel Guest House, Gangaur Ghat, Udaipur, Rajasthan. If your ideal breakfast includes the desi roadside Samosas, Kachoris, Poha and Cutting Chai (Tea) then this place shall relish all your tingling taste-buds. Also if you run low on your budget, then head to this small joint and grab yourself a plate of poha, samosa or kachori at just Rs10 each, also accompany it with a cup of masala chai for fulfilling your breakfast meal. Address: Near Shastri Circle, Opposiite Shastri Circle Post Office. A perfectly brewed coffee prepared by your description and likely to your taste, accompanied by your favorite English Breakfast is all that you wish for your 1st meal of the day? 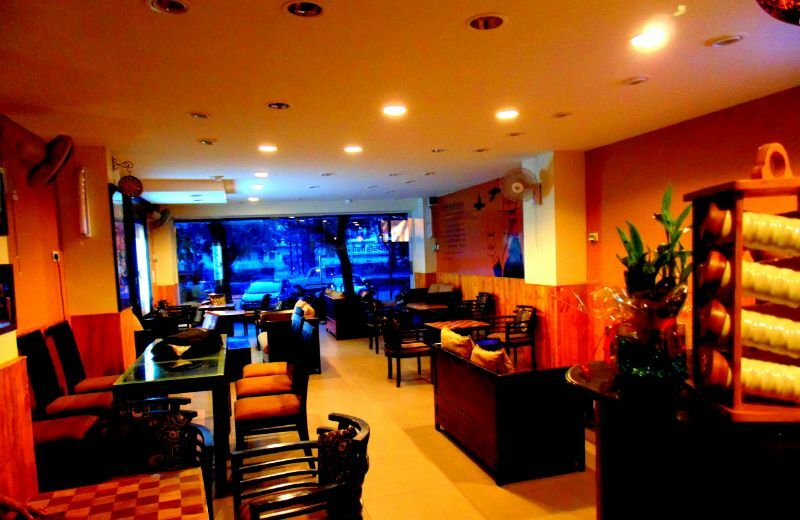 Then you must visit Café Brewmen, take your laptop along with you to work upon the pending projects of yours as this place is known for its high-speed Wifi speed and corporate environment. Also if you just wish to chill and read your favorite novel along with your breakfast then you must rely on this café. Ask any local of Udaipur about the ‘Lala Ki Kachori’, they’ll first drool over just the thought of it and then will ask you to grab yourself one ASAP!! 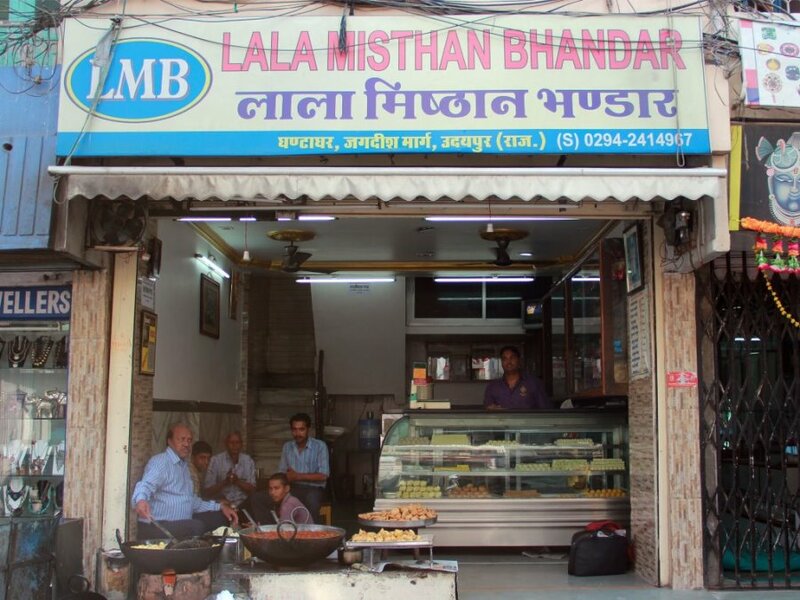 Lala Mishthan Bhandar is one of the oldest sweet shops of the city; the shop is renowned for its authentic taste and obviously delicious Kachoris. Also try the special Maal Puas of Lala bhai which are usually available in abundant during Hariyali Amavasya Festival, good luck if you could get one on the non-festive days. What about a luxurious breakfast at the King’s Palace? Pamper yourself by taking a boat ride from the City Palace premises to the grandeur of the Jagmandir Island Palace which is situated amidst the Pichola Lake. This place is ideal for a romantic Breakfast date; take your beau to the palace in a jetty ride through the vast Pichola Lake. This option is surely the most expensive one of this list for a breakfast meal, but a Royal meal once did no harm to anyone. 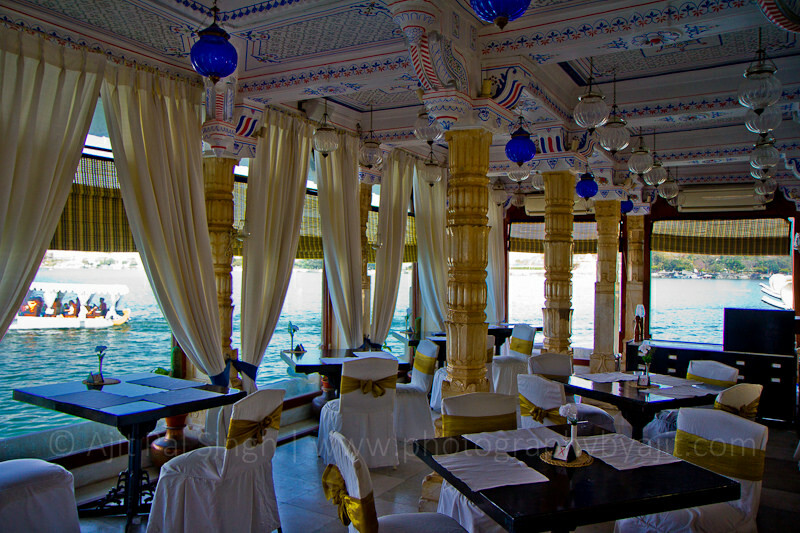 Address: Jagmandir Island Palace, Lake Pichola, The City Palace Complex, Udaipur, Rajasthan. Are you a fan of the South-Indian Cuisine? Does your ideal breakfast contain crisp Dosas served with spicy Sambhar and Cool coconut chutney? 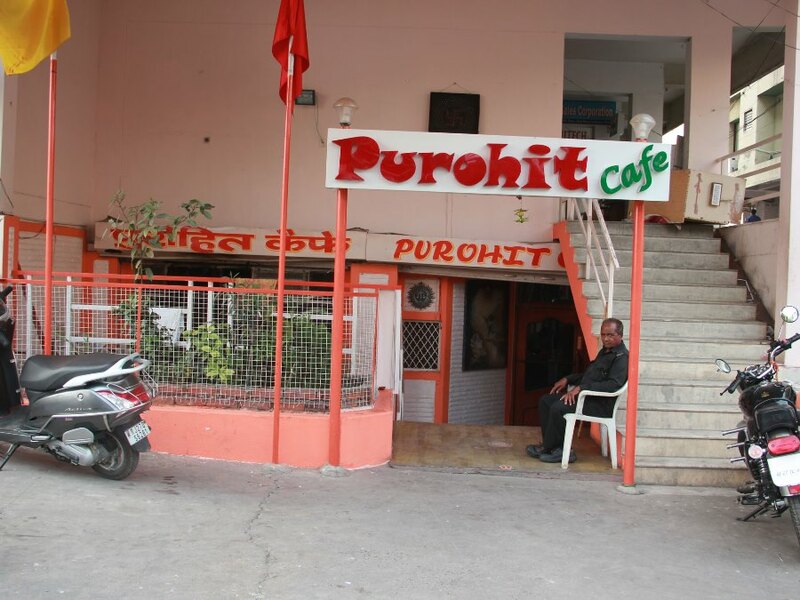 Say no more, Purohit Café is undoubtedly the best outlet serving the most delicious South-Indian Dishes at moderate prices; it is also one of the oldest South-Indian serving restaurants of Udaipur. 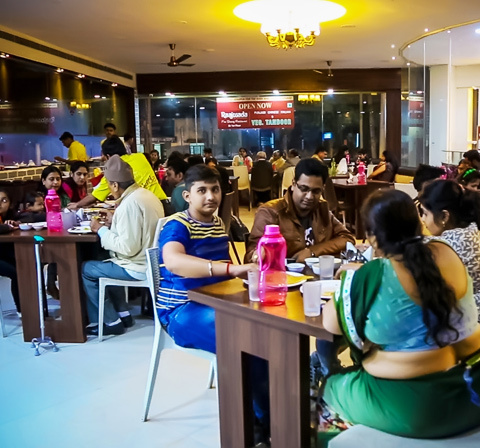 They serve a variety of South-Indian dishes like Dosas, Utthapam, Idlis, Vadas, Rava Dosas and a lot more. Add a filter coffee to your order and you’re good to go with a decent amount of energy level added to your daily hectic routine. Address: Anand Plaza, Ayad Road, Anand Nagar, Kharakua, Udaipur, Rajasthan. Popularly known as the ‘Lok Kala Mandal ke Vadapav’, the owner of this small kiosk Mr. Mohan Singh Ji has been selling Vadapavs at this particular location for almost 2 decades now. 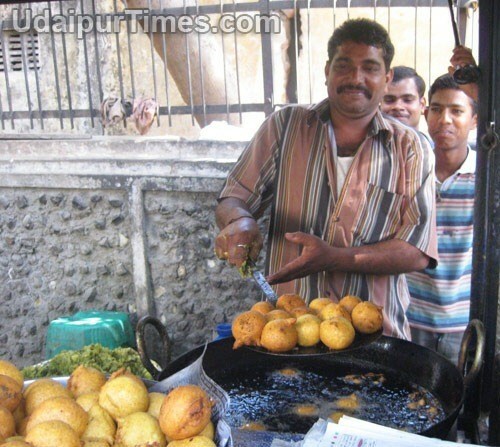 The combo of Butter Milk along with the Vadapav served by them is absolutely irresistible. A lip-smacking budgeted breakfast meal can surely be availed at Mohan Singh Vadapav Centre, also try it with some fried green chilies that are complimentary with the Vadapav to enhance the taste. Want to grab your breakfast on top of the city? Well believe us; we’ve got all your dreams covered! 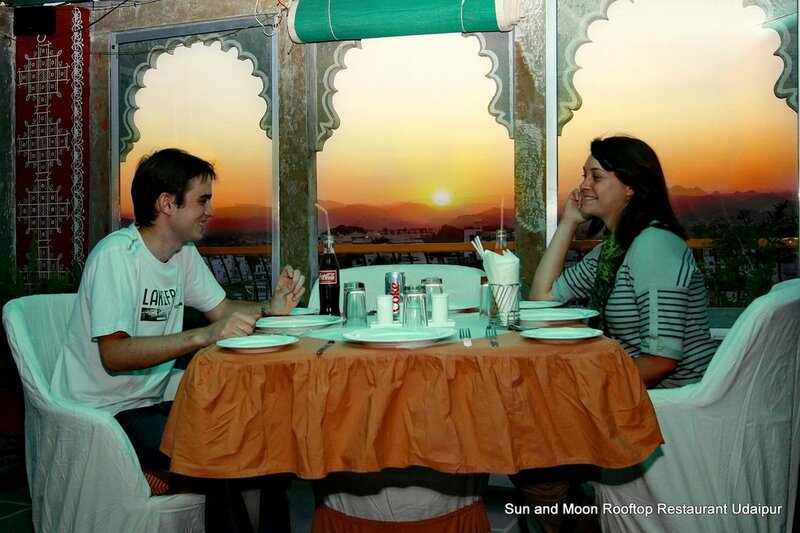 Sun & Moon Rooftop Restaurant is the highest building in the old city of Udaipur; it overlooks all the palaces, lakes, the old streets and ghats of the Old City Udaipur. Here, you can easily avail both English and Indian Breakfast, so if you like your Parathas crisp with that French toast hurry and plan your next breakfast at this restaurant. Tip: Unlike the other restaurants in the old city, this one owns an elevator that will take you directly to the rooftop restaurant, so it’s okay to be a non-stairs person! Well, gone are the days when the early mornings started at 4am and the breakfast was served at 6am! Right? 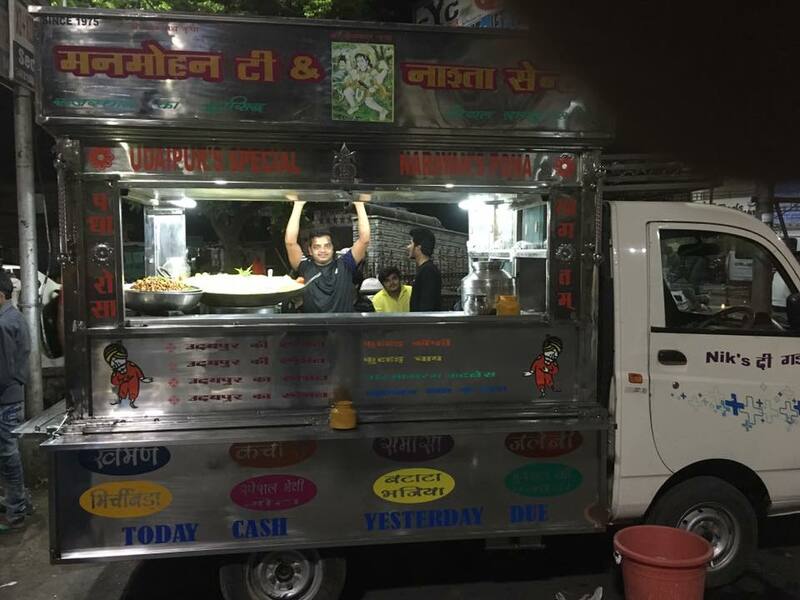 WRONG, we’re absolutely not being old school here, but we’d recommend you to wake up at 4 am in the morning and go grab your lip-smacking breakfast at the Poha Truck. This may sound crazy, but there are several locals of Udaipur (the Youngsters) that wake up this early to grab their lip-smacking plate of poha and Masala Tea from the Poha Truck. And Alas the Poha Truck is unavailable after 7am, therefore setup your alarms real quick! Tip: if you wake up that early, visit one of the lakes nearby and watch the golden sun rising up from the lakes. Opens at 3am, closes at 7am. This is another ‘Get it all at one venue’ place! If you’re looking for some handy breakfast like a plate of Samosa, Kachori, Jalebi, Poha then you must visit this place; but if you’re a North-Indian breakfast fan and complete your breakfast with buttery parathas and achar then this is still the place for you; but if you like the South-Indian breakfast idea with those crispy dosas and Vadas then, this is still the place for you. Well we’re obviously directing you by the above info that this place serves all of the options for an ideal breakfast under one roof. So if you’re the picky one, then surely go for this restaurant. A heavy paratha breakfast with loaded butter in a pocket friendly deal is your breakfast type? No you’re not asking too much, because Udaipur has all of this covered at this place. 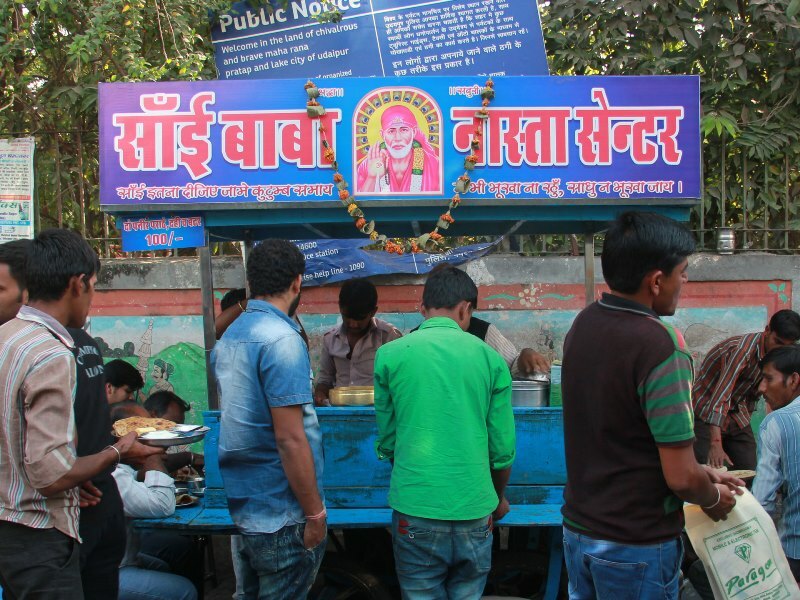 The famous Sai Baba Nashta Centre has been serving mouth-watering parathas for a long time now near Gulab Bagh, as the owner stated he has been serving those delicious buttery parathas for more than 20 years now. *Extra Marks for Experience Though* People usually prefer the aloo parathas, you could also get it packed as it’s a small kiosk and if you do not prefer the outdoor seating arrangements. 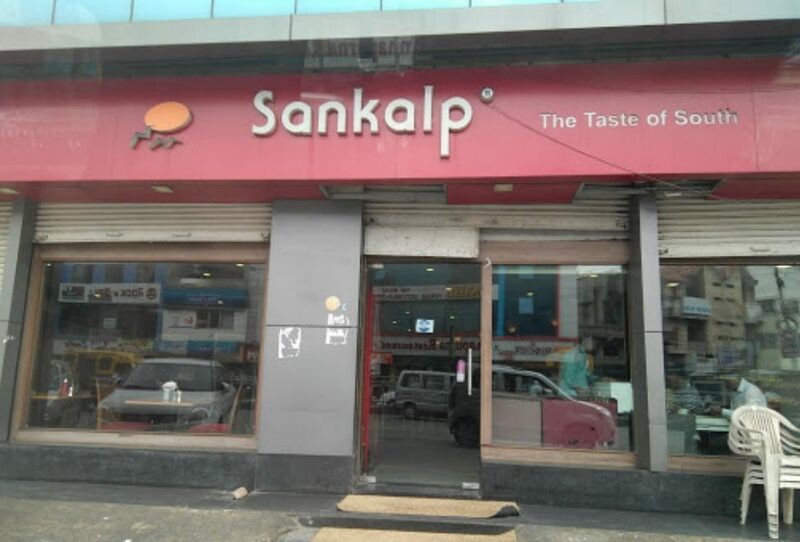 If you’re a diehard South-Indian cuisine lover, then you must have heard of the renowned chain of South-Indian restaurants named Sankalp, well there is an outlet belonging to the same renowned chain in Udaipur as well. All the authentic South Indian dishes can be ordered at this restaurant; also the chutneys they serve along with the dishes make the dishes all starry! The wide variety of each dish offered by this restaurant is well appreciated by the customers. Already making plans for tomorrow’s breakfast? 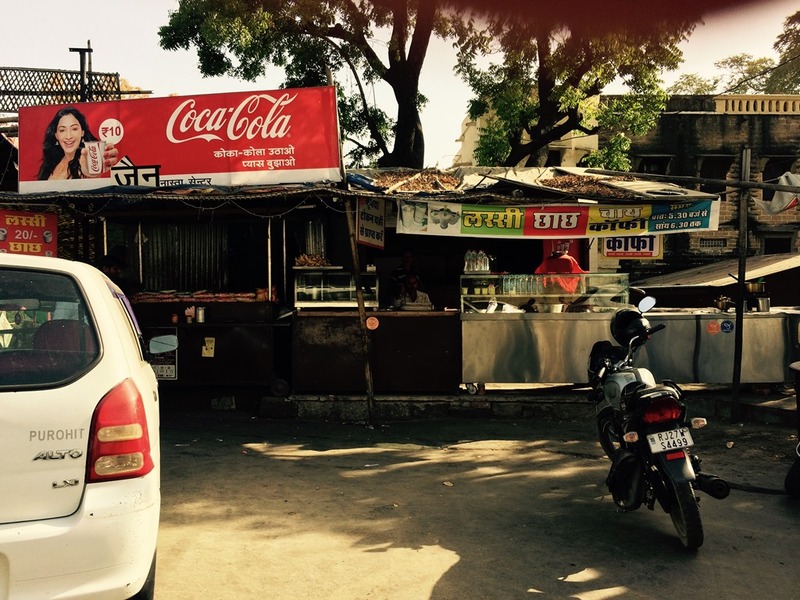 Well hope this blog helped you choose the ideal place for breakfast in Udaipur, or atleast made you aware of all the options that are available for you to explore in future! Don’t forget to like, share and subscribe to My Udaipur City. We sincerely love reading your suggestions; views about the blog and our City so do share them in the comment section below. And yes! We’re here to help, therefore all the queries are most welcomed via comments.